Nowadays, with large numbers of Australians and New Zealanders visiting the beautiful Southern California, specifically Los Angeles, we decided to share a few ideas and offer information to help make travelling and exploring our exciting city enjoyable and stress-free. No. of tourists from Australia & New Zealand visiting California are increasing rapidly year after year. In 2015, over 600,000 tourists from Oceania Continent (which includes Australia & New Zealand) made trips to the Golden State. Projected numbers for the future are rising as well. Here are a few stats and suggestions to help our Aussie, and Kiwi friends arriving to Los Angeles. Los Angeles International Airport (LAX) is the sixth busiest airport in the world and the third in the United States, More than 600 daily flights to 91 domestic cities and more than 1,000 weekly nonstop flights to 58 cities in 32 countries on nearly 75 air carriers, all take off from LAX. Your best option for getting out of this extremely busy airport is us, Anaheim Town Car Services operated by Jag transportation which includes LAX to Disneyland Car Service. Our friendly and road-savvy chauffeurs are always ready to meet you inside the terminal with a smile, especially if you do not have a US cell phone number. We have a Meet-and-Greet service. In this service, we can meet you when you arrive, help guide you through the terminal, to the car standing nearby. We can also give you a helping hand with your luggage. Forget about sorting out maps, asking strangers for directions, going over Busses, their routes and schedules, or stand in long queues for Taxis. With our door-to-door car service, you, your family and friends get to sit back and take in our city as soon as you land, while we safely chauffer you to your hotel and other stops if needed. 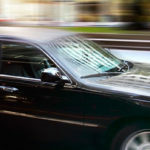 Our chauffeurs will masterfully get on the quickest routes, the right traffic-free roads and get you to your destination. Make the most out of your trip by confirming Anaheim Town Car Services operated by Jag transportation which includes LAX to Disneyland Car Service for your entire stay. Getting to popular Southern California destinations is a breeze. From runs to Disneyland and California Adventure, LA Live in Downtown LA, Universal Studios theme parks, or further to Sea World in Sand Diego, and Queen Mary in Long Beach, we will get you there, just on time and more importantly hassle-free. 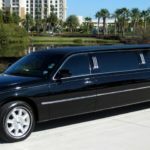 Our Anaheim Town Car Services operated by Jag transportation which includes Car Service LAX to Disneyland and provides the service using its own fleet of Lincoln Town Car Sedans, Private SUV- Chevrolet Suburban, Private VAN- Ford Transit 350, and the Stretch Limousine for group transportation. These comfy, classy SUV’s accommodating up to 7 passengers, arrive like a VIP, and enjoy the scenery. For families, our Lincoln Town Car Sedans come with child safety seats and boosters. Please let us know in advance if you have accompanied with children. In California, all children under 8 years of age must use a child safety seat or booster. If you are visiting LA with a small group or a sports team, you can consider booking our gorgeous, comfortable Stretch Limousine accommodating 14 passengers with onboard amenities. If you are here for business, sit back, and ease your mind in one of our luxury Lincoln Town Car Sedans or other vehicles from our fleet while we drive you to your meetings or various business functions. 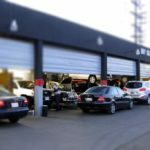 In California there are strict laws pertaining to the operation of a motor vehicle while using wireless communication devices. No driver in California may write, send, or read text messages while they are behind the wheel. Finally, welcome to Los Angeles! See the iconic Hollywood sign, major film studios such as Warner Brothers, Paramount Pictures, and Universal, all of which offer behind-the-scenes tours. We can drop you off and pick you up on TCL Chinese Theater, or near the Hollywood Boulevard where you can see the hand- and footprints of celebrities on the Walk of Fame and get your souvenirs from the vendors. Enjoy our cosmopolitan & lively city and let Anaheim Town Car Services operated by Jag transportation deliver you to landmark spots where you and your family will make lasting memories. There are countless lists of things to do in Anaheim. Everyone has their top choices and they can be found all around the web. It’s true for every city in America, whether it’s visiting beaches, rivers, lakes, museums, amusement parks, baseball games, shopping malls or great restaurants. Firstly, you’ll require transportation and LAX to Disneyland car service probably is the best choice. There are many lists of things to do in Anaheim. This post is not one of those lists. I think it is more helpful to supply readers with resources to discover attractions and things to do by them. There is plenty of information available for travelers. Just about all of it is available with a little help from the World Wide Web. Most trips to Anaheim take place for one reason: the amusement parks. Disneyland and the others nearby offer a lot of fun that many families feel the urge to check off from their list. To describe all the Anaheim hotels in detail would take forever (and there are websites made already that would do it better anyway). I will give you some ideas to look out for, however, as you consider amongst your many, many options. If the parks are indeed your priority, then you definitely want to think about the hotel’s ease of access to the parks. The hotels owned by Disney right on the park, are an obvious choice for convenience, although they can sometimes be pricey without a deal of package to help lighten the burden. If that won’t work (or you just don’t want to be right inside the park), then you will want to consider the transportation the hotel provides (or doesn’t) to the park. Some will advertise a short walk instead, and you will have to consider how easy it will be to transport your group in this way. LAX to Disneyland car service can be another option. Also look out for any packages or deals the hotel offers. These hotels have a lot of competition, and they want to make all those nervous dads feel better about their expenses. Look for free or discounted food and extra amenities. The amusement park itself will likely be a similar price no matter which hotel you buy tickets at, but parks are expensive so try to save where you can elsewhere. Some hotels are a little more family themed than other ones. The official Disney hotels even have character actors and fun-shaped pools. This is something to consider if you traveled a distance simply to visit Disneyland. Other hotels will be more family friendly than others, just like other places. These places see a lot of kids, though, so try to find one that caters to them well if you have children coming along. Don’t forget the hotel and room amenities. The theme park is very stressful, and it may require some payment to have a relaxing place to return at the end of a busy day. Make sure that the home-away-from-home you return to is a place where you feel comfortable. Extras like Internet access and media players prove beneficial here (you’d think that a hotel seeing so many family vacationers might have a DVD player, but not all of them do!). Disneyland isn’t the only destination–you will arrive at your hotel as well. If you can’t afford much, you might not get the best pick among the Anaheim hotels. Just make sure you look at reviews and find a comfortable, affordable place among them. Museums are some of the best attractions to visit in any city. If you visit a new city you should be sure to check out the local museum since you will be able to see art that you will probably never see again. Anaheim is no exception. It is home to the Anaheim Museum which is a must-see attraction. The Anaheim Museum was incorporated back in 1982 because of the effort of local citizens. It is home to many pieces of art housed in a permanent exhibit and it is often home to temporary and traveling exhibits. In the Anaheim Heritage exhibit you get a chance to learn about the rich and diverse history of Anaheim. It traces the history of this great city from its inception to the current time. An example of one of the past exhibits is “The Human Form: The Figure Bathed in Light”. In this past exhibit visitors were treated to drawings, paintings and sketches that capture the human form. It was an interesting and popular exhibit. As you can see, the Anaheim Museum is one that has much to offer. Because of this any art lover should add it to their must see list. 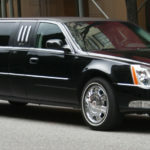 Traveling from LAX (Los Angeles International Airport) to Disneyland implies traveling from on the list of busiest airports in the environment into the most enjoyment place in the planet, and what can be a greater approach to commute than employing a LAX to Disneyland car service for transportation from LAX to Disneyland. There are many transport facilities and businesses that offer transport from LAX to Anaheim Disneyland, which is really an explanation to be pleased together with unfortunate: content since you have many options, and sad because you have lots of selections to baffle you, also to make your determination additional and even more displeasing.